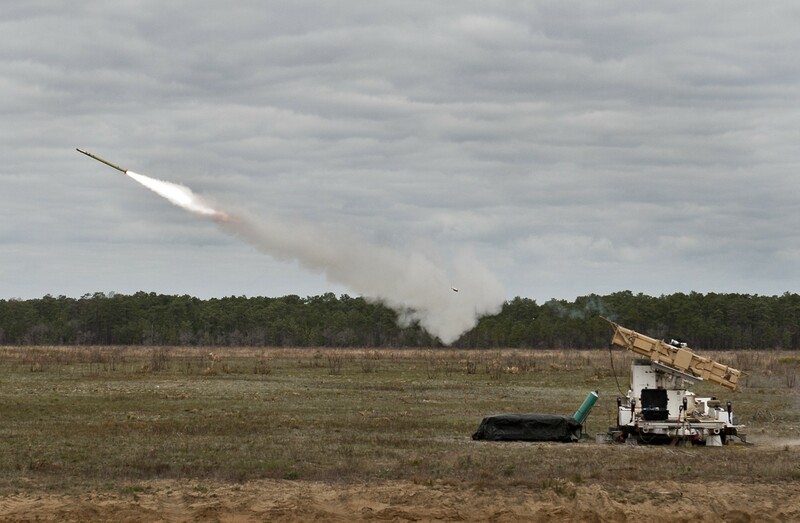 EGLIN AIR FORCE BASE, Fla. (March 24, 2016) -- The U.S. Army successfully fired a Stinger missile from its newest launch platform, March 23, 2016. The missile was fired here as part of a demonstration of the Army's new Indirect Fire Protection Capability Increment 2-Intercept (IFPC Inc 2-I) platform's Multi-Mission Launcher (MML). The new, first-of-its-kind, MML is designed to fire a variety of different interceptor missiles, depending on the threat. Stinger, originally developed as a man-portable air defense infrared homing surface-to-air missile, has been adapted to fire from a wide variety of ground vehicles, such as the IFPC MML. A variety of other missiles are scheduled to be tested as part of an IFPC Inc 2-I Engineering Demonstration at White Sands Missile Range, N.M., in the coming weeks.